A breakaway eurosceptic faction of Greece’s Syriza party was to attempt to form a government Monday (24 August) as the country headed for a likely September 20 snap ballot. The ex-Syriza rebels, who call themselves the Popular Unity party after the victorious 1970 Chilean alliance of Salvador Allende, are to receive a mandate from President Prokopis Pavlopoulos. Pavlopoulos’ office on Sunday (23 August) said he would meet Monday with the head of the conservative New Democracy party, who was first in line to be given a chance to form a government on Friday (21 August). “The president will meet with the New Democracy leader Monday (24 August), the result of the exploratory mandate,” Pavlopoulos’ office said. Prime Minister Alexis Tsipras resigned on Thursday (20 August) after an anti-bailout mutiny by his party’s eurosceptics formally ended his parliamentary majority. Under the constitution, the president has to offer the largest opposition parties a three-day mandate to form a government. As none of the parties can realistically muster enough support for a majority in the 300-seat parliament, Pavlopoulos is expected to terminate the procedure on Thursday (27 August) and name a caretaker administration under the head of the Supreme Court. Government spokeswoman Olga Gerovasili on Sunday said the elections — Greece’s fourth in three years — would probably be held next month. “As things stand, it is feasible to hold elections on September 20,” she told state TV ERT. An unprecedented war of words has broken out between Greece’s outgoing government, the parliament chief and the president over the snap ballot. Tsipras seeks to defend the tough terms he accepted in the 86-billion-euro ($96 billion) rescue package which had triggered a rebellion in his radical-left Syriza party. Constantopoulou, Greece’s youngest parliament speaker at 38, has accused the 65-year-old president of breaking the rules by skipping a parliamentary technicality in order to hasten the procedure. Late on Saturday, the president — an esteemed professor of constitutional law — responded by dismissing her arguments as “legally baseless”. 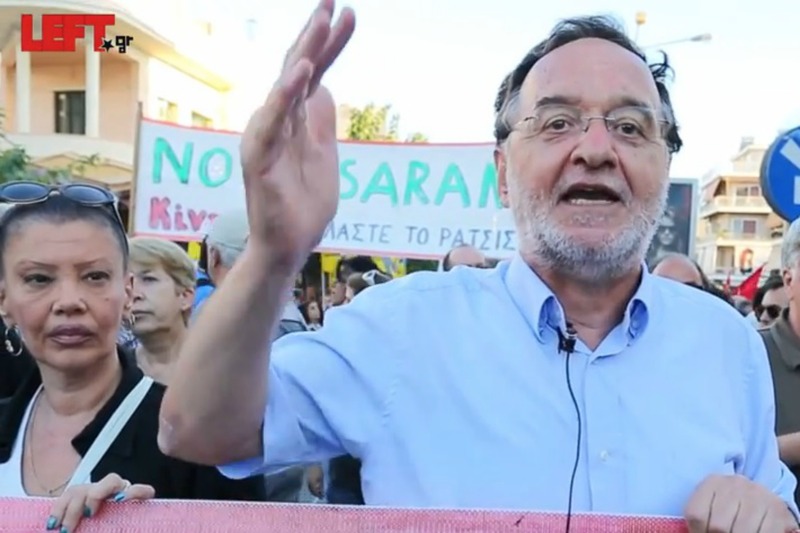 Constantopoulou, whose father was a former head of Syriza’s precursor party Synaspismos, vehemently opposed the third EU bailout Tsipras signed on July 13 and repeatedly sought to frustrate its ratification through stalling tactics. As a result, three successive parliamentary votes on the bailout were held overnight, and were concluded narrowly before deadlines set by Greece’s creditors expired. A former rising star of Syriza, Constantopoulou is now rumoured to be considering joining the anti-bailout Popular Unity group, which takes its name from the leftist alliance that brought Salvador Allende to power in Chile in 1970. Another prominent Syriza lawmaker, flamboyant ex-finance minister Yanis Varoufakis, on Sunday said he would not be a candidate with Tsipras’ party in the upcoming election. “I will not be a candidate in the name of Syriza,” Varoufakis, who has strongly criticised the bailout, told France’s Journal Du Dimanche. “Syriza is adopting an irrational doctrine that I have opposed for five years: to further extend the crisis and pretend it is solved, while maintaining a debt that cannot be paid,” he said.